But what of life, my brothers and sisters? 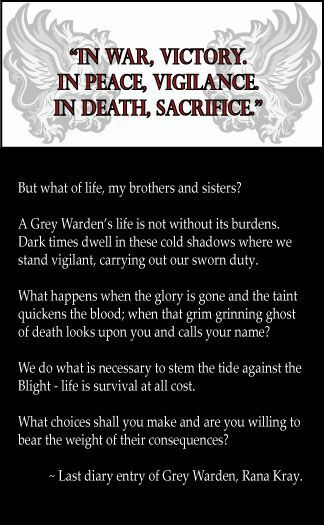 A Grey Wardens life is not without its burdens. Dark Times dwell in these cold shadows where we stand vigilant, carrying out our sworn duty. What happens when the glory is gone and the taint quickens the blood; when that grim grinning ghost of death looks upon you and calls your name? What we do is necessary to stem the tide against the Blight - life is survival at all costs. 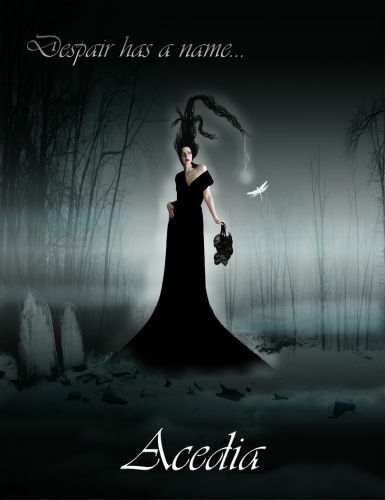 What choices shall you make and are you willing to bear the weight of their consequences? A search for a cure to the eventual death sentence that comes as a result of the Joining leads the Grey Warden to the Confederacy of Malkuth, a loose collection of city states which exists south of Ferelden, beyond the Uncharted Territories. As part of the Extended Community Canon Project, Dark Times contains new content and tie-ins with the other lore based modules. 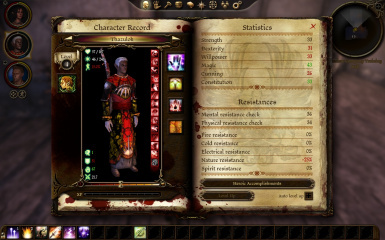 While it is not required that you have played them or have them installed to enjoy Dark Times, the mod authors responsible for their creation have helped the DT team to provide an interconnected and enhanced Dragon Age experience. Fans of Ser Gilmore will be pleased to learn that the Immortality has released the finalized version 3.0 of the mod. Recruit Rory and bring him to Malkuth for an interesting and unique experience. In order for the first quest of the mod to activate you must have completed the Broken Circle Quest in the Origins campaign. Any save loaded post Broken Circle Tower should activate the content. When the mod is installed, it will be located on the DLC tab on your Dragon Age menu. When installed - this mod appears on your DLC list because it is a continuation of the Origins story, not a stand alone campaign. You will know it has installed successfully when you get the new quest entitled "Urgent Summons". 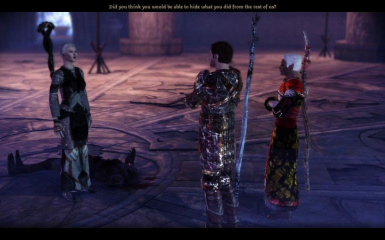 - A lore based addition to the Dragon Age Origins campaign. - Three new companions and a new pet. - 32 areas to explore - mostly new but there are a few vanilla levels which have been adapted and used in new ways. - The introduction of a new story arc for your Origins Warden and companions which takes place over the course of a five act narrative which will be released in sequential mods. Made possible by the folks at Bioware, the BSN Community, and you.